Hand Painted Zombie Portrait A perfect gift for Zombie Lovers. 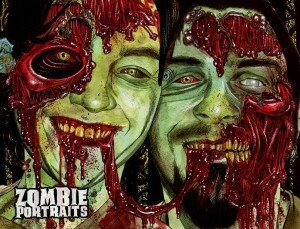 This hand-painted Zombie Portrait will .. 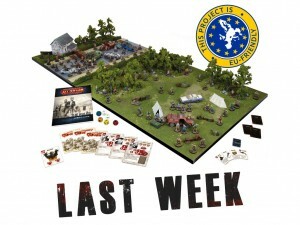 The Walking Dead: All Out War is the survival miniatures game from Mantic Games, based on the characters .. Ideal Valentine's gift for your 'better half' this Valentine's. 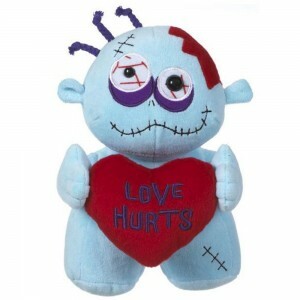 This adorable Love Hurts Zombie monster .. 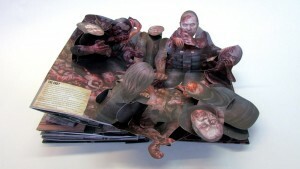 Build Your Own Governors Room from the Walking Dead. 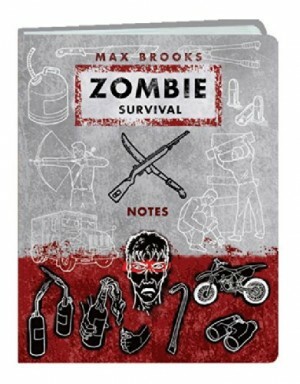 Fans of television's most watched drama, AMC's The Walking .. 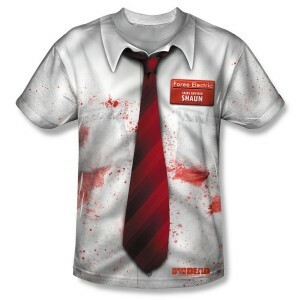 This hand printed Shaun of the Dead T-Shirt is a must have for movie fans. Shaun of the Dead is a British .. 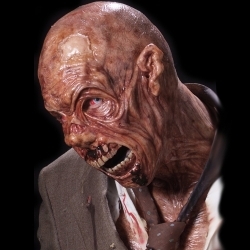 The DOD team are proud owners of one of SPFX Masks creations. The quality of these masks are nothing .. 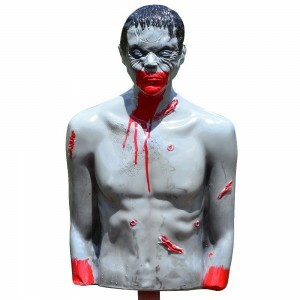 Practice and prepare for the Zombie Apocalypse with this hand-painted life-size Bleeding Zombie Target. 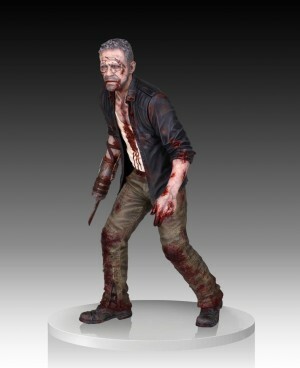 Just ..
Stunningly detailed 1/4 Scale Statue Walking Dead Merle Dixon ( Walker version ). The attention to detail ..